New Base, refurbished heads the HaslerHJ4600/ RENA XPS Promail 3.0 offers 3″ print area and adjustable print quality. Prints up to 26,000 #10 envelopes per hour on material from 3″ x 5″ up to 15″ x 17″. Rebuilt 3″ fixed head address printer; The Secap 30K address and barcode printer is built for demanding applications requiring speed, quality, and durability. The 30K Inkjet Printer is designed for printing at speeds of up to 30,000 postcards or 25,000 envelopes per-hour. Barcodes and other graphics can be printed at resolutions of 150,200,300 or 600 dpi. 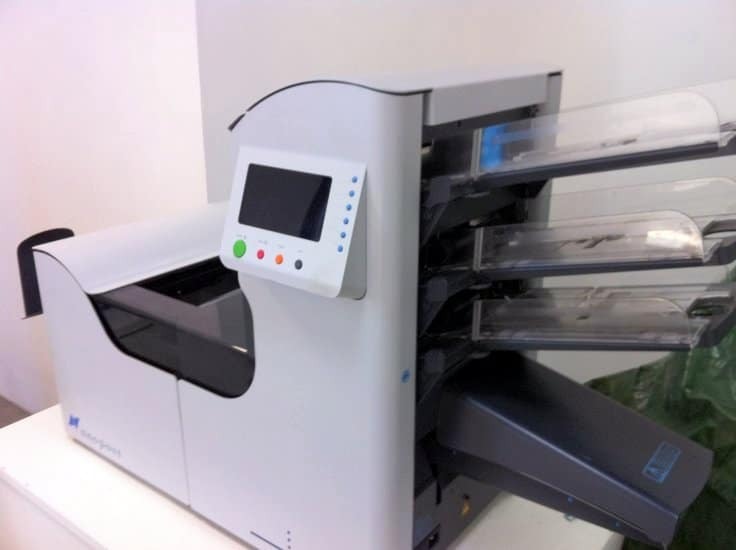 Rebuilt 3-station folder/inserter/sealer; The SI-68 is a folder-inserters designed with the mid-size enterprise in mind – businesses which today process mail manually, or with inserters that require manual settings. This unit easily fits into your office and can process all the various document types produced by your office every day. Rebuilt fixed head address printer; Prints up to 33,000 address per-hour on materials up to 1/4″ thick. Utilizes HP print techmology (uses 3 HP 45A Style 600 dpi print carridges) Prints addresses, attention lines, postal indicia, return addresses, postal barcodes, graphics, logos, and tag lines! Print USPS Delivery Point Barcodes to qualify for lower postal rates and get faster delivery. Rebuilt fixed head address printer; Prints up to 22,000 address per-hour on materials up to 1/16″ thick. Utilizes HP print techmology (uses 3 HP 45A Style 600 dpi print carridges) Prints addresses, attention lines, postal indicia, return addresses, postal barcodes, graphics, logos, and tag lines! Print USPS Delivery Point Barcodes to qualify for lower postal rates and get faster delivery. Rebuilt tabletop address printer; designed for high speed and performance. 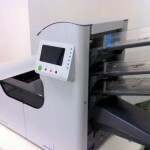 Addresses up to 22,000 pieces per hour and handles a wide range of media and substrates, up to ¼” in thickness. The SA5000 uses a single fixed print head configuration, offering 1.5″ in print with 600 x 600 dpi print quality. Rebuilt tabletop address printer. Address at speeds of up to 22,000 pieces per hour with barcode. Supports material up to 13″ x 15″ up to 1/8″ thick. Uses HP 45A style Print cartridges. Rebuilt Entry Level Tabber. The W-350 / RENA T-250 can apply round tabs from 5/8″ to 1″ at speeds of up to 12,000 pieces per hour. Rebuilt Secap 9K-L tabletop shuttle head address printer can print at speeds up to 9,000 an hour on materials from 3″ x 5″ up to 12.5″ x 15″. Print resolutions are select-able from 150 DPI thru 600 DPI. 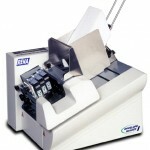 Rebuilt single tabber with FX feeder; The ACCUFAST KT is a feature rich basic tabbing machine. The new KT lets you use 1.5″ mailing tabs / wafer seals. It uses plain circular or rectangular tabs either opaque or clear. It tabs pieces up to ¼” in thickness and it rolls the waste up on a take up spool. At speeds of up to 15,000 per hour. Rebuilt color shuttle head printer; The DA750/W790 prints color, personalized addresses and graphics directly onto envelopes, flats, postcards and mailers, giving mail a professional appearance that improves open-ability. Print speeds of up to 13,000 per-hour on pieces from 3.5″ x 5″ to 15″ x 15.5″. The DA750/W790 is a proven and efficient method for delivering your message.